Who needs six cameras on a smartphone? 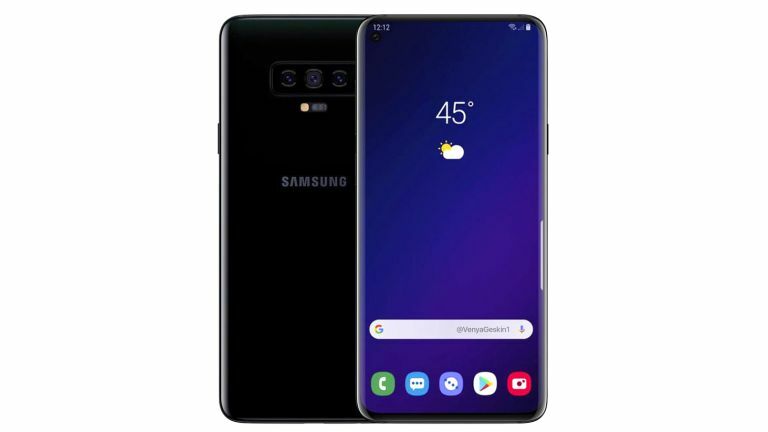 Samsung is hard at work on its next flagship smartphone – Galaxy S10 and Galaxy S10 Plus – ahead of its official announcement, widely-tipped for the Mobile World Congress tradeshow in February. According to a new report from the Wall Street Journal, the most-expensive Samsung Galaxy S10 model will boast six cameras. Yes, that's what we thought too. With the Galaxy S10, Samsung looks set to unveil four separate variants – double the existing line-up of the Galaxy S9 and Galaxy S9 Plus. According to sources within the company speaking to the Wall Street Journal, the top-of-the-line model – codenamed "Beyond X" inside Samsung – will boast an edge-to-edge 6.7-inch AMOLED screen, 5G support, and six camera lens – two in the front and four in the back. Neither of these features is entirely new to Samsung. Earlier this year, the South Korean manufacturer launched its Galaxy A9 with a quadruple rear-mounted camera set-up. Its predecessor, Galaxy A8, boasted a dual front-facing camera capable of adding bokeh-style blur to the background of portrait images, dubbed Live Focus. Like the Galaxy A9 before it, the quadruple camera on the Galaxy S10 will boast 2x optical zoom, an ultra-wide sensor, and a depth-sensing lens for Live Focus images. Like the iPhone XS, Samsung allows users to adjust the amount of blur applied to the background of their portrait-style shots. Despite already launching on two of its mid-range handsets, Samsung has yet to include its dual front-facing and triple rear-mounted camera systems on its flagship Galaxy S or Galaxy Note series. Elsewhere, all four Galaxy S10 models are expected to sport an Infinity-O style display, which includes a circular cut-out to house the front-facing camera lens – the only break in an otherwise all-screen design.